Posted on 04/08/2019 by Mickey McCarter	in Live Review and tagged Amanda Palmer, Boston, Massachusetts, National Theatre, piano, ukulele. Amanda Palmer performs at National Theatre in DC on April 5, 2019. 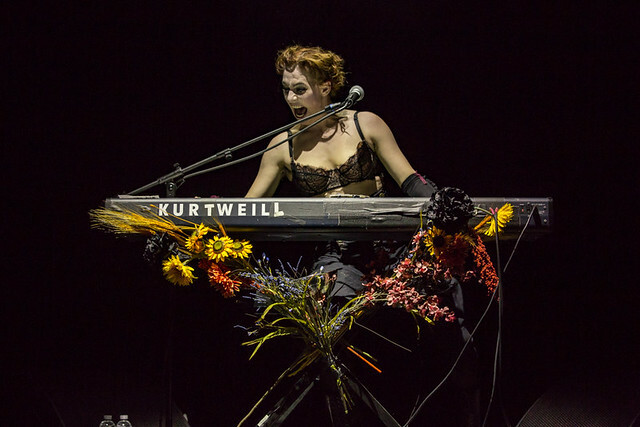 Amanda Palmer made a deal with her audience at the National Theatre on Friday. If ever anyone became too sad during the course of her music and conversation presentation, he or she could simply exclaim, “Amanda, I’m too sad!” and the artist would respond to brighten things up with the opening chords of “Coin-Operated Boy” by her band The Dresden Dolls. By our count, she was called upon to play those chords at least five times, which might not be so bad for a 4.5 hour show. Posted on 03/28/2019 by Parklifer	in Preview and tagged Amanda Palmer, Los Angeles, National Theatre, punk cabaret. 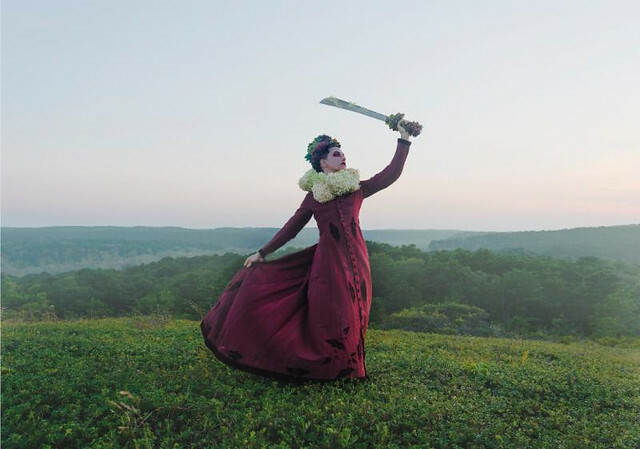 Amanda Palmer released There Will Be No Intermission, her first solo album in six years, in March via 8 Ft. Records/Cooking Vinyl. The avant-garde artist next will perform at the National Theatre in DC on Friday, April 5. Posted on 11/03/2017 by Mickey McCarter	in Live Review and tagged 9:30 Club, Amanda Palmer, art punk, Boston, Brian Viglione, Halloween, punk, punk cabaret, The Dresden Dolls, vaudevillian. 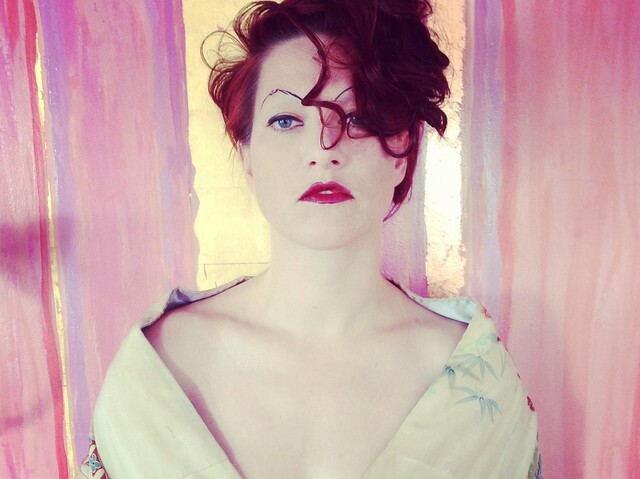 You’ll never meet someone as comfortable in her own skin as Amanda Palmer. The sassy singer/vaudevillian was perfectly at home at 9:30 Club on Tuesday, and it’s clear to see she would be perfectly at home absolutely anywhere. Her wits and her talents got her by early in life, and those assets continued to do so as she embarked on a brief east coast tour with drummer Brian Viglione as punk cabaret darlings The Dresden Dolls. 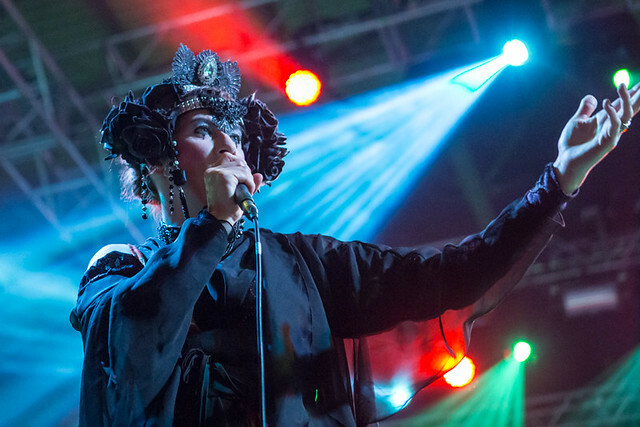 Posted on 11/12/2014 by Mickey McCarter	in Live Review and tagged Amanda Palmer, book tour, DJ, new wave, punk, Sixth & I, synagogue, Thomas Dolby. 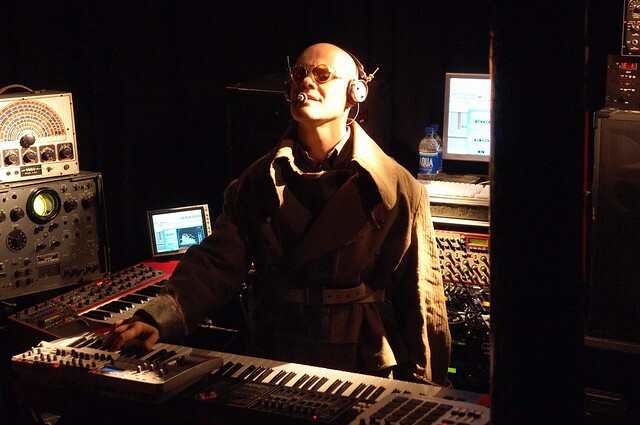 Thomas Dolby, the English musician best known for his ubiquitous new wave hit “She Blinded Me With Science,” now lives in Baltimore. Dolby moved there earlier this year to accept a faculty position from Johns Hopkins University as its first Homewood Professor of the Arts. The move, undoubtedly an intellectually stimulating endeavor for Dolby, also is proving fruitful for music enthusiasts like myself as he settles into the region and continues to experiment and expand upon his musical repertoire.